Earn $74.95 in Rewards credit (7495 points) What's This? 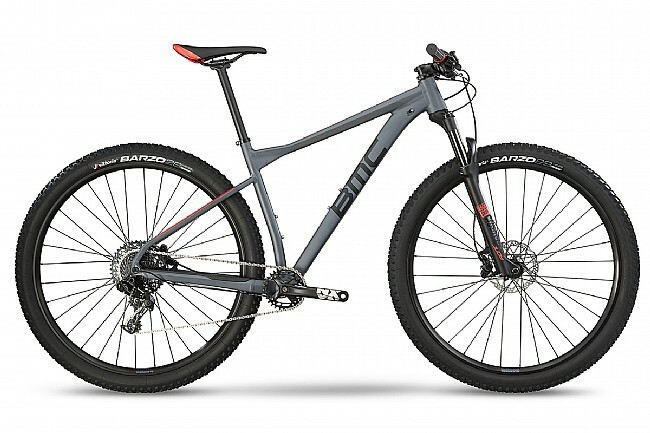 The 2019 Teamelite 03 TWO Mtn Bike from BMC is a light yet stiff 29er mountain bike with triple-butted hydroformed aluminum tubing, a RockShox Recon RL, Solo Air, Remote (100mm), 15x100mm thru-axle fork, and greater compliance and comfort thanks to the lowered seat stay and Angle Compliance Technology. Fork: Rockshox Judy Silver TK Solo Air, Remote (100mm), 15x100mm thru-axle. Handlebar: BMC MFB 03, 720mm.